The annual Independent VoYces Literary Fair had its first Kingston outing with Speak Sunday, on November 3 at Afrikana House on Holborn Road. “It is an evening of literary lyme and rhyme,” said organiser Judith Falloon Reid of BarriVision productions. 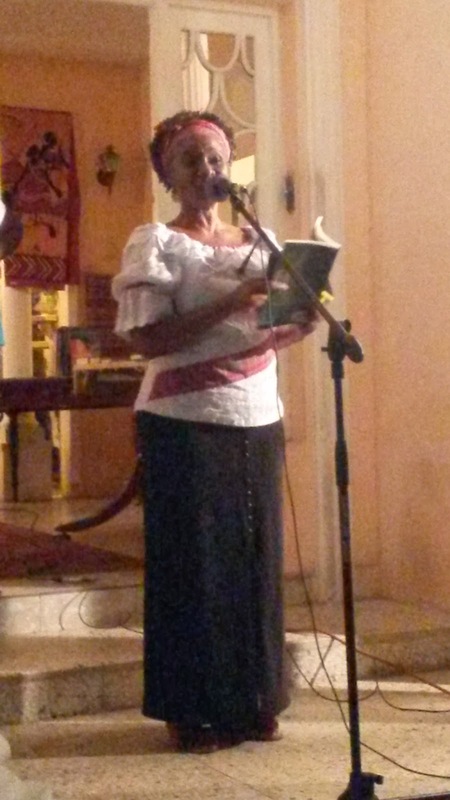 The ethos of Independent VoYces held true to the theme of exposing Jamaican publications, and the readers availed themselves of the golden opportunity, and gave the audiences reasons to laugh out loud, be spiritually lifted, or sit in silent contemplation before applauding. International dub poet, Cherry Natural, asked what life in Jamaica would be like if women took over the characteristics of men; the liberating prospects thrilled the audience. The ever popular Veronica Carnegie read from her book Fly, with a character that sees all that goes on in society. She ended her set with an irreverent jab at current issues on Goat Island. Her fiction books are The Tie Came Back, Leaving Home and Dear Pastor Paul. She has also compiled The Directory of Independent Schools which lists more than 4,000 private schools in Jamaica including pre-school to special and vocational schools. 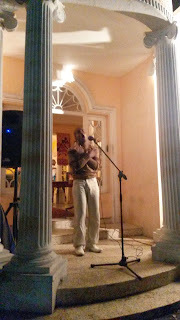 Poet Marlon Thompson’s anthology Words from Mamma’s Son is a haunting but optimistic voice from Trench Town. “I refuse to be limited by generational limits, curses and bonds…. Youth poet Seychelle Doyley, who is also in Grade Seven student of Wolmers High School for Girls, read her poem on thoughts about her big brother whom she loves and admires. 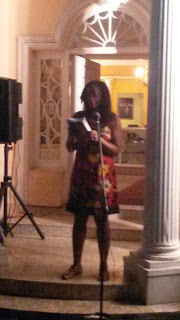 Novelist Claudette Beckford Brady read from her work, Return to Fidelity. The excerpt describes the situation of a woman whose husband cheats, but her own sense of duty compels her to faithfully carry out her wifely obligations. Award winning financial services advisor, Garfield Goulbourne showed his creative side with his book The Writings of GG: Real Issues. These are Garfield’s thoughts on certain topical issues, and his views stirred up vigorous discussion long after he had stopped reading. Accountant Erika Heslop Martin, who has been recognised on the Jamaican scene, read from one of her three anthologies of inspirational and encouraging poetry, The Power of Words. Randall Foreman’s, Know Your Mate and Enjoy Your Marriage provides helpful thoughts and guides for tuning-up a marriage, and also nurturing a successful marriage by understanding that your spouse may not be the person you want him or her to be, but understanding who they are. He is available to speak at events and workshops. Ras Flako Tafari has many small publications on the 1963 Coral Gardens uprising and related matters, but for this event, he selected Revenge of Rudolph Franklyn and asked one of his brethren to honour victims by reading the names of persons who died, including policemen, and others who suffered injury. Excerpts from Omar Sheriffe Vernon el Halawani’s When Conchie Blows is a coming of age story set in 1831 St James about a free African Jamaican boy, an English bookkeeper and the estate overseer. Excerpts, which had a ring of authenticity, were read by the editor Paulette Bell Kerr, who said that the author used oral histories of his family. 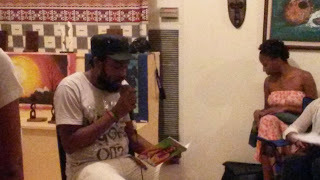 Marcus Harrison handled his unpublished poetry well, confidently representing the view of a young, male tertiary student. His work included a walk through Half-Way-Tree, observing familiar scenes with an unerring eye. In closing the poem he insisted, with every stride, that as a young person he should be allowed to be, just himself. In another work he describes himself as a wolf, armed with words. The missionary work of Jo Ann Richards is preserved in her prose Godincidences. Her excerpt recalled how God carried her through symptoms of malaria while she was far away from any medical support, and with no transport. 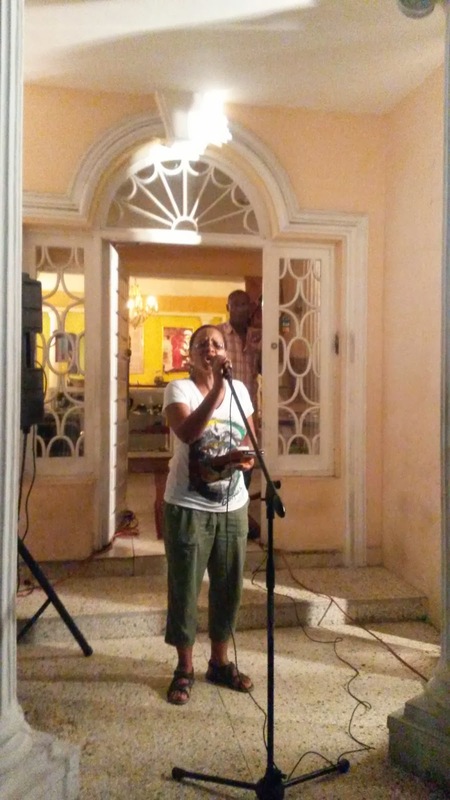 The Jamaica Theological Seminary ethnomusicologist creates worship songs in different cultures and had the audience enjoying her recording Nuttun no du weh God cyaa du. Richards started her set with a beautiful reading from the patois bible of the annunciation to Mary as recorded in the Gospel of Luke. Randy "Kreativ Aktivis" McLaren closed the show on a high note with his dub poet hits, including Jamaica My Heart and Soul first performed for the Jamaica 50 celebrations in the UK, and his popular ode to Breadfruit. The afternoon was a challenging one for the lone MC Shannon Reid who capably helped the audience to adapt to the changing weather which saw the audience moving indoors and then returning outdoors. Reid is the head of news for TBC radio. World beats selections were provided by GW Jazz. The books from Speak Sunday are available at Afrikana House until the end of the second week in November.